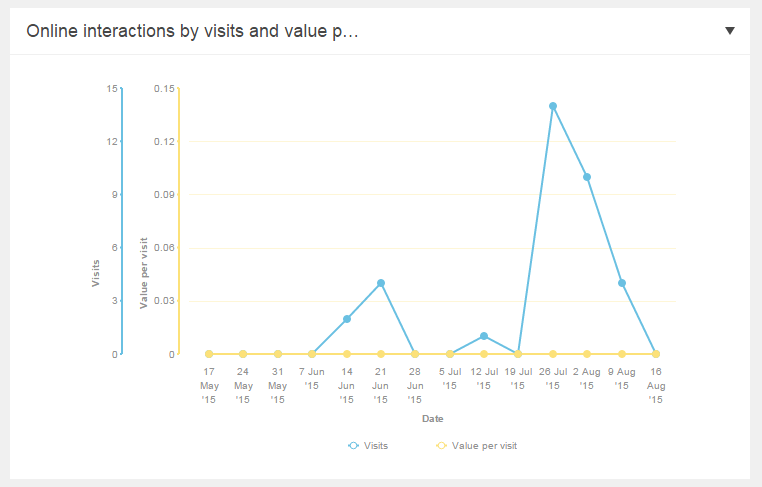 If you are using Web Forms for Marketers in Sitecore then you may have an occasion where the email addresses that are being used to send messages to get updated by someone…then all of a sudden you start getting errors…then all of a sudden your phone starts ringing off the hook, right? 868 13:12:53 WARN An invalid character was found in the mail header: ','. Message: An invalid character was found in the mail header: ','. Nothing looks odd at first…until upon further research: I discovered after some reading about mail headers that the last entry of the recipients (To, CC, BCC) cannot accept a separator delimiter as a character on the end. You’ll also notice in outlook and other email clients that the behavior is the same. The fix? remove the last character and save/republish your form. Problem solved! Hope this helps. Questions are welcome! 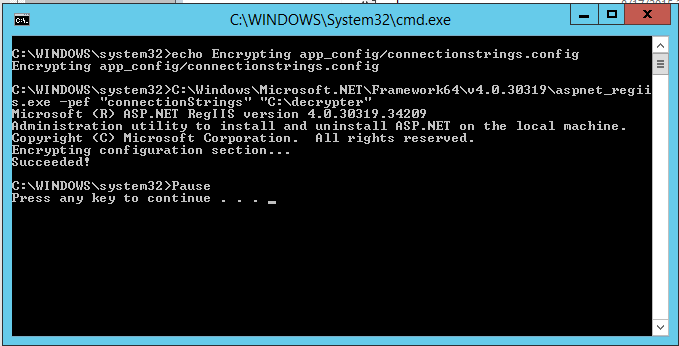 Encrypting .Net application web.config files are easy enough. However Sitecore is NOT a fan of you messing with the web.config. This is even part of the reason the connection strings are stored out into a separate file in Sitecore. I’ll go through a quick method of taking care of doing it on the separate Sitecore file. 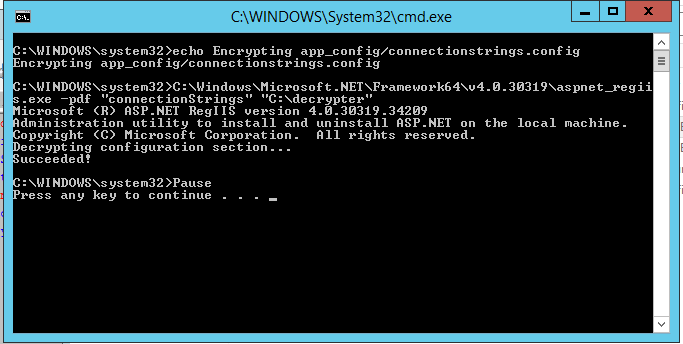 Once completed take the connectionStrings section of the web.config and replace your ConnectionStrings.config file with the encrypted connectionStrings section (run notepad in admin mode if your sitecore is in the web root). Recycle the app pool to refresh. You should now be encrypted! If this fails for you at some point then replace your Sitecore connectionStrings.config file with the backup you took at the start. This was a fun experience. Anyway, let’s go. Got a 5GB $149/mo Medium pricing package from Object Rocket (Note: Small does not have SSL in its package). So now you have instance databases, a database user, and a SSL address to connect to. From here we move to Sitecore. For the sake of keeping this short we are going to assume you have Sitecore Analytics enabled in your instance. ssl=true indicates to sitecore and mongo that you are going to connect with SSL. 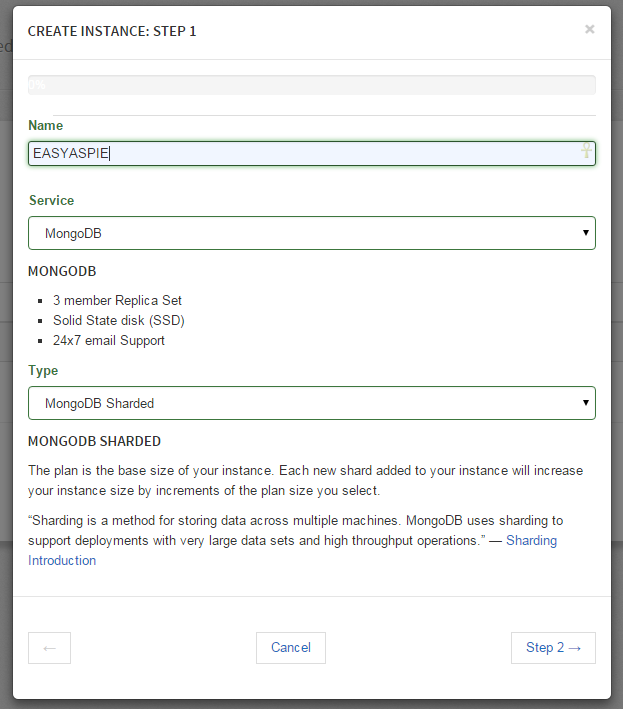 You can test your connection with a tool like Robomongo or Mongovue. If you have an instance that has a network appliance in front of it (like in my case) then you will need to add sslverifycertificate=false to keep the SSL connection from trying to read a .pem file from you. Parameters you pass need to be separated by a semi-colon. Yes, I thought ampersand as well (and even see it documented as such here). ObjectRocket was kind enough to help me figure that out. I hope this helps, questions are welcome! When you install a new 8.0 instance of Sitecore you will find the site can be laggy and sluggish to load. To speed up your dev environment I would recommend this easy fix. Refresh your Sitecore in a web browser and watch it go!